Lately, Mark has been interested in sea life sculpture. 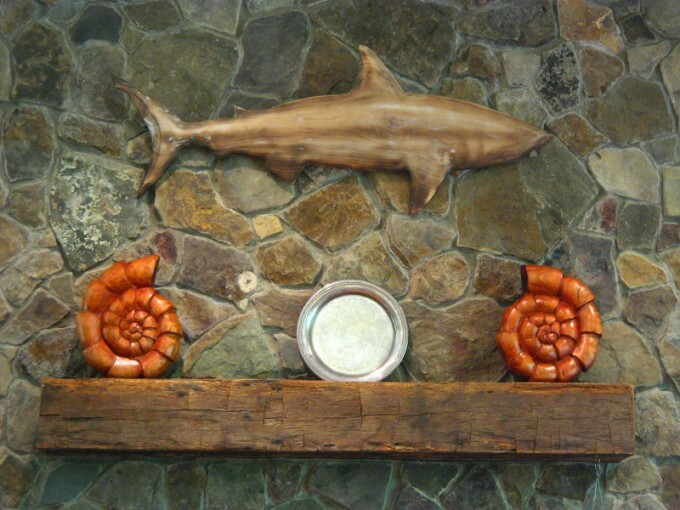 This shark and these ammonites are first in what I'd guess will be a long-running subject matter. They are also all for sale on Etsy.